The Softclix lancet is specially designed to be used with the Softclix Lancing device. 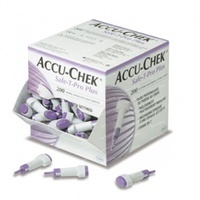 The Accu-chek softclix lancets offer virtually pain free testing and are uniquely designed for accurate penetration. Unlike traditional lancets that have a round shaft, the Softclix lancet has a rectangular cross-section and is significantly smaller than other lancets. The 28g needle minimizes discomfort due to the unique design. 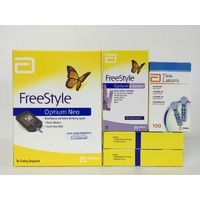 The Softclix lancing device and lancets are easy to use, small, and lightweight and can be used by people of all ages. 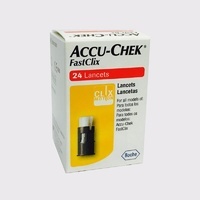 Accu-Chek Softclix lancets are available in boxes of 100 or 200. This advertisement is for 200 lancets.